Everki a company many of us here is the states may have never heard of. Being established roughly 4 years ago, they have made a pretty good impression on those in the Europe area. It was only a few months ago when Everki expanded to United States where they wish to make yet and even bigger impression on those with a mobile lifestyle. At the Everki booth we saw the wide variety of stylish notebook bags that have new innovative and ergonomic designs. 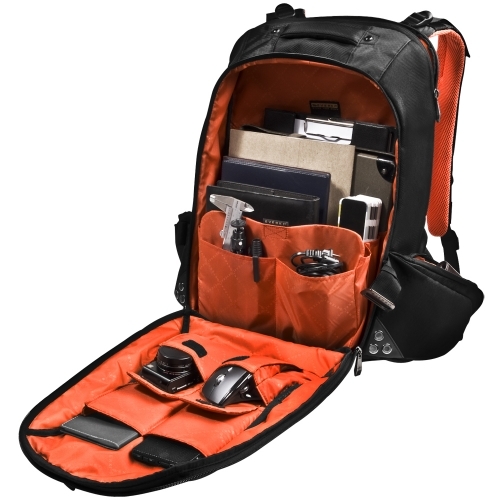 This variety of products ranges from Briefcases, Backpacks, Sling Bags, and even to Laptop Sleeves. With the innovative designs that we have seen here on the show floor we see nothing but success for Everki in the US Market. Take a Chill Pill and keep your notebook cool! Chill Pill is a universal notebook stand that provides a more comfortable typing position and better air circulation while still being small enough to fit in your pocket. The Chill Pill may have one of the simplest designs for a laptop cooler, but don’t let that fool you. 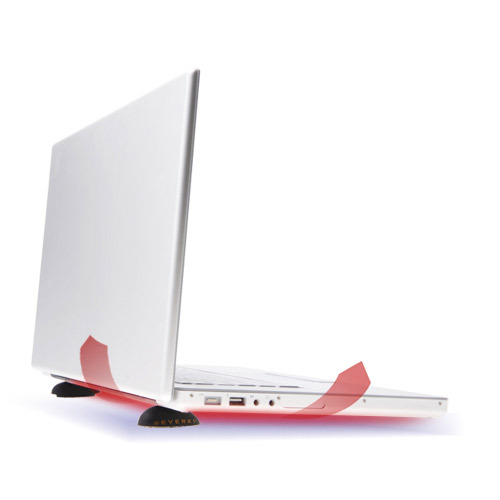 Lifting the laptop up off the table a mere inch allows your laptop to breathe the way they should and should lower the operating temperatures drastically. They have several options to choose from, a truly amazing lineup that should suit just about every ones needs. I think it will fit a 17 macbook pro. We put a 15′ HP in the bag and had plenty of room. I’d still contact them directly to find out, but you shouldn’t have any issues.